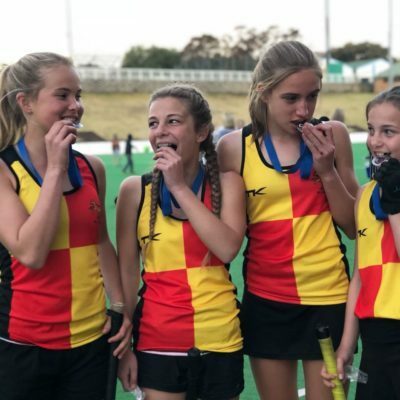 The 2018 outdoor season has wrapped up and Wanderers Hockey and the section has continued to grow and improve each year with this year culminating in the players and club achieving the goals and objectives set at the beginning of this season. We would like to thank the parents for their dedication and supporting their child’s passion for hockey, none of this would be possible without your sacrifice and endurance through the season. The u5 and u7 group are proving to be a tenacious bunch that learns fast and eager to learn more. u9 Boys and Girls starting to show a lot of promise for the future of the section, with them starting to get the hang of the basics with a hunger to understand the “difficult stuff”. 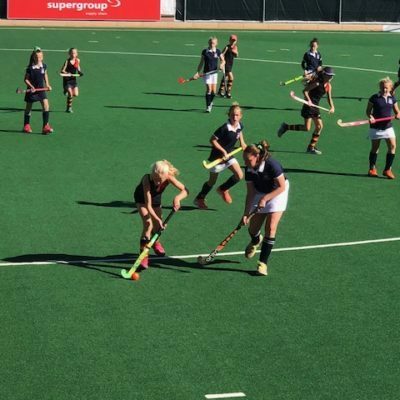 The u11 Boys and Girls have been shown themselves to be enthusiastic, competent and competitive players within the various festivals. The pipeline of Bugs is very healthy with many seasons of Hockey, Fun and Friendship to come. The u13 group has made the section very proud this year with the Girls and Boys working hard this season and showing a lot of maturity on the field. Wanderers A – Dominated the A league and proved to be in a class of their own this year. 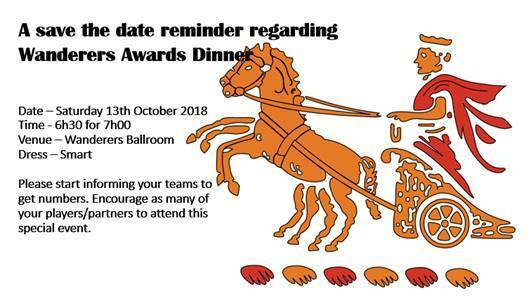 Wanderers B – Also played in the A league and fought hard with most of their results being marginal, in what was a very competitive league. 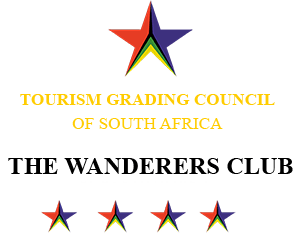 Wanderers D – Also an u12 side playing in the u13 section have worked hard and been rewarded with 3 place in their league, once again a testament to the character and tenacity of the Wanderer’s players. The Boys teams were managed as group due to the availability of the boys on Friday nights, with boys playing in both A and B teams. The boys in the group got to make new hockey friendships and strength previous ones. Wanderers A ending 3 and Wanderers B needing to still play Old Eds for 11th place, but these placings are misleading…more about that later. 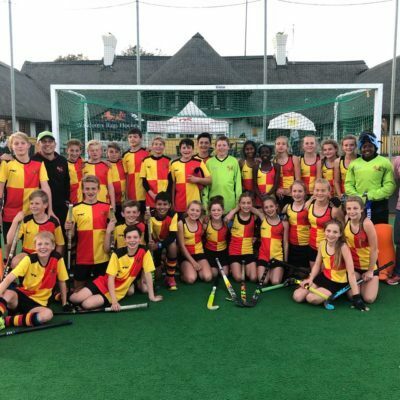 The pinnacle of the u13 Girls and Boys Season was played on Sunday 29 July at Randburg Astro. The stage was set with only the parents being more excited than the players. The two teams were ready for action in their Champ of Champs kit and we were looking the part. A special thanks to Rassie Pieterse and TK for putting it together, we looked Awesome. The tournament followed a two pool format with the winner in each pool playing in the final. Each game being 20 minutes one way. The Girls played the first game against Shumbas… toughest game in the pool…first up! The girls were exceptional with them stepping up and with an intensity that surprised everyone…especially Shumbas. With 5 minutes of open play we won a Penalty Corner and Bella Hardie powered it home… 1-0. The Girls continued to dominate with Natalie Morris swerving 3 players at the top of the D and striking the ball cleanly.. 2-0 to Wanderers, with 5 minutes to play. The two sides battling to the bitter end with near misses from both teams, the final result 2-1. We were off to a good start and looking formidable. Crusaders topped the other pool after a tough contest against Khosa to get there. We were up against our neighbours… the game started with Wanderers scoring in the first 30 seconds..1-0. But from the restart Crusaders came back and scored an equaliser…we fought back and pressured Crusaders in to many error and being awarded multiple penalty corners. Unfortunately, we could not convert with Crusaders scrambling to keep us out. Enter the Dreaded 8 second shoot, are giving it all in the match the girls dug deep to find the energy for the shoot-out. But after the first 3 from each side, we had not converted with Crusaders scoring all three…the drama of sport. The boys started against a highly respected UJ but out classed them on every blade of artificial grass available. After settling into our rhythm the boys connected a few passes to win a Penalty Corner after 12 minutes of play. Solid push out from Harry Grose and TJ stinging it home 1-0. After another 7 minutes of a tough mid field battle, the boys broke though the top of the D and won another Penalty Corner. 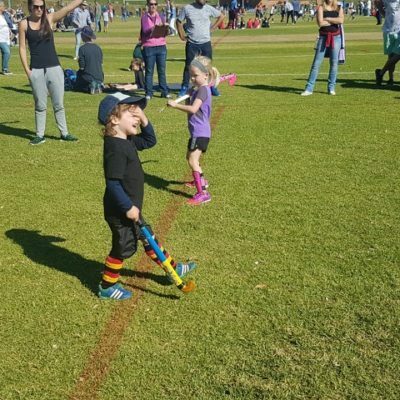 Once again Harry was solid on the push…and TJ skilfully taking it around the first wave to finish with a classy flick into the top corner (After the Hooter). Enter the nugget west rand opponents Khosa, the two sides were hungry for the victory with the points table still wide open. The afternoon heat clearly taking its toll on both sides. We had our chances but could not convert ending in 0-0 draw. Now there were 3 teams that could have topped the table if we did not win the last game! The Last Game was against JSA, the boys pulled it together with a focused chat and warm up. Every boy manning up to his task. At the game started the ball was started to do the work. Slowly JSA run out of steam and the gaps opened up. Some good linking between Brad, Liam and Ben Kok, leaving Ben to finish off, advantage Wanderers. Within minutes……..once again, our Penalty corner working well with Harry pushing and TJ finishing, 2-0 Wanderers. Into the final we go. And interesting enough up against Crusaders as well. Both teams were up for the game, with some interschool rivalry fuelling the fire. The Boys dominated with Crusaders only getting the odd scraps of possession and chasing a lot of ball. It was time, the boys pushed forward down the right and opened up the defence like tin can (awesome to watch). Penalty Corner awarded….about 8 minutes left to play. Harry pushes again, TJ stroking it past the keeper. We continued to pressurize them and controlled the game beautifully. 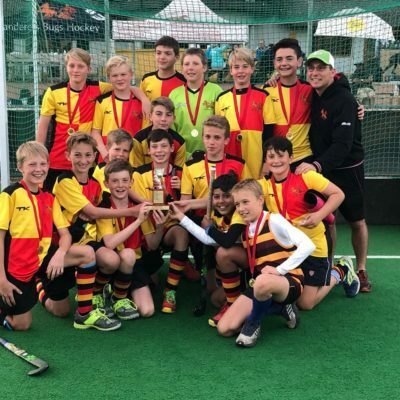 This being the first time the Wanderers u13 Boys Champ of Champs title and breaking years of Shumbas dominance. The Colts section comprises of u17 and u15 age groups. The girls split into 3 teams, an u17 team and two u15 teams. The u17 side have worked hard and are through to the 3rd place playoff, with u15A not hitting their straps during the season, resulting in 4th place, having to play our big rivals Crusaders in a 1st vs 4th semi-final to make it to the final. The team proved their quality and played a high quality game, comparable to any senior league fixture, with a fabulous 2-0 win. 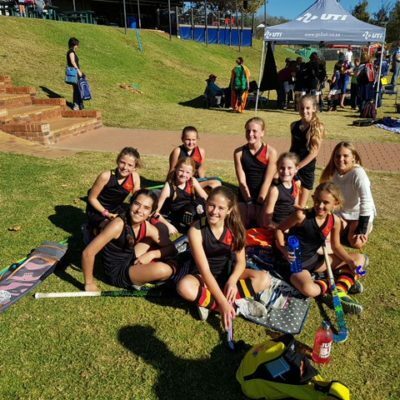 The Final was played on 3 August at Wanderers against Shumbas, the Wanderers girls had many missed opportunities in the first half, that could have put the visitors on the back foot and chasing the game. With neither side managing to score in the first half, there was everything to play for in the second. Shumba’s came out firing and managed to score after 10 minutes, but within a minute of the restart Ella Babaya skilfully worked her way through the defence and scored an equalizer. The game stayed tied at 1-1 with the league winner needing to be determined by an 8 second shootout. The hero of the shootout was the Wanderers keeper, Trista Sansom, saving 2 of the 4 giving Wanderers the u15G league title. The u15B team have shown significant growth in confidence and loving every minute, they too will playing for the 3rd/4th place against Khosa at Krugersdorp High School, 6:30 to 7:30. The Colts Boys have grown in numbers and stature during the season, we started the season with about 14 boys and have now built it to 22 boys, which bodes well for next season. We entered the boys in the toughest league, OpenB, which is played at an exceptionally high standard. With the boys only losing to Beaulieu during the season and ending 2nd. Considering that many of these boys are only u15 this is a significant achievement. We will be using the APP to advise when registration opens and any other communications, so please don’t delete it. 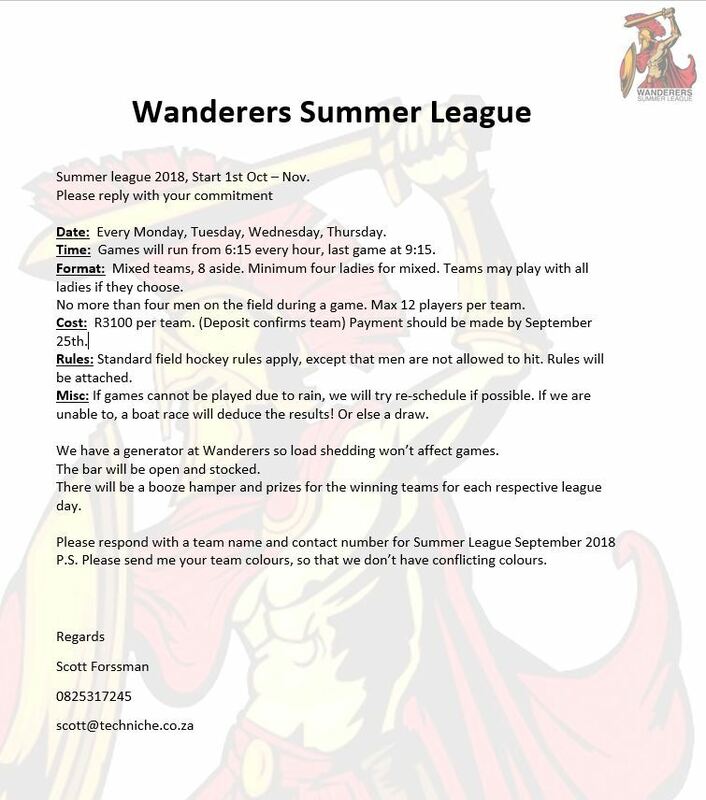 We will now be moving into the indoor season and then the 5 a-side season. Thank you for the 2018 Outdoor Season and we look forward to seeing you next year.